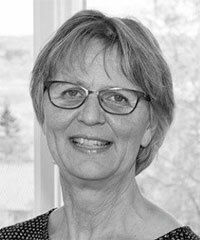 Berit Andersen is a professor in screening at Aarhus University, Denmark, with a background in medicine and specialized in community medicine. Her professorship has special emphasis on screening behavior and organization of screening programs. She creates high level evidence on how to increase impact and quality of cancer screening programs, and her research methods include public health trials within ongoing cancer screening programs, epidemiology using highly valid Danish registers and qualitative research. Ongoing research programs include: self-sampling in cervical cancer screening, interface between HPV-vaccination and cervical cancer screening, self-administered decision aids to support the decision to take up screening, effect and effectiveness of colorectal cancer screening, quality of and patients experiences in relation to post screening procedures in the hospitals and initiatives to reduce social inequality in screening. Her research group includes senior researchers, post docs, ph.d.-students and university students. She is further involved in several national strategic committees and steering groups related to screening, cancer and public health: Danish national steering group for cervical cancer screening (NSLS – head of steering group), Danish Health Authority’s advisory committee on screening programs, Danish Regions steering committee for operation of colorectal cancer screening, Steering committee of the Danish colorectal cancer screening database (DTS), Steering committee of the Danish quality database for cervical cancer screening (DKLS), Danish Health Authority’s expert group to support a continuous focus on reducing social inequality in health in Denmark, Professional committee of Danish Comprehensive Cancer Center (DCCC). 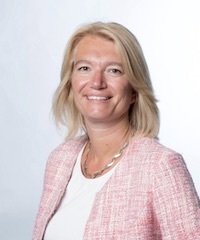 She is finally Head of Department of Public Health Programmes at Randers Regional Hospital, Central Denmark Region being responsible for planning, administration, development and quality assurance of the program within the region. David Baldwin works as a consultant respiratory physician sub-specialising in lung cancer, mesothelioma and interventional procedures. He is Chair of the Clinical Expert Group for Lung Cancer, NHS England and Clinical Director of the East Midlands Cancer Alliance. 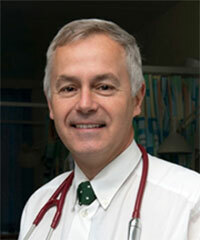 He is Honorary Professor in the School of Medicine at the University of Nottingham. He has obtained research grants from a variety of charities and NIHR. His primary research interests are in CT screening and lung cancer epidemiology. He was lead respiratory physician on the UK CT lung cancer screening trial (UKLS). He has published over 180 papers including three influential guidelines. 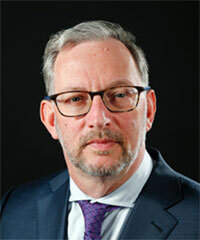 He has held the positions of Honorary Secretary of the British Thoracic Society, Clinical Lead on the NICE Lung Cancer Guideline Development Group and Chair of the Quality Standards Group on Lung Cancer. He works with Public Health England and the National Cancer Research Institute and is Chair of the Screening Prevention and Early Diagnosis Group. He enjoys time with his family and is a keen windsurfer and advanced instructor. 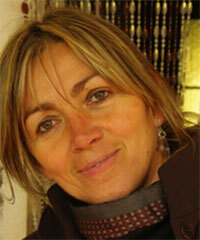 Dr. Mireille J.M. Broeders is a cancer screening epidemiologist, with a background in Health Sciences (MSc 1998) and a PhD in Epidemiology (2004). 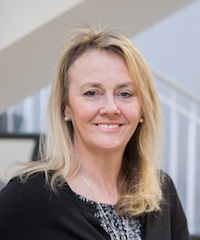 She is Associate Professor at the department for Health Evidence at the Radboud University Medical Center, Nijmegen, leading the research group on Cancer Screening and Follow-up and principal investigator of the nation-wide PRISMA study (Personalised RISk-based Mammography screening). Her research focuses on the evaluation of long-term benefits and harms of screening, especially screening for breast cancer. More recently, her aim is to study whether moving from ‘one-size-fits-all’ screening policies to more individualised screening approaches can help optimise the effectiveness and efficiency of breast cancer screening. Dr. Broeders has a special interest in observational research designs that can be used in this field of research. As a long-standing member of the National Evaluation Team for Breast Cancer Screening, she is also involved in the evaluation of the long-term benefits and harms of the Dutch nation-wide breast cancer screening programme. Dr. Broeders further holds a position as scientific supervisor at the Dutch Expert Centre for Screening, which has broadened her research interests to include technological developments in the breast screening programme, such as the impact of the transition to digital mammography, the effects of image processing and pain experience during breast compression. She is co-principal investigator on a grant from the American Cancer Society to pilot the AIMSS (Assessment of International Mammography Screening Skills) test set. At a European level, Dr. Broeders contributes to the European Commission Initiative on Breast Cancer, as a member of the Guidelines Development Group (http://ecibc.jrc.ec.europa.eu/), co-leading the subgroup on Monitoring and Evaluation. Dr. Bulliard is a senior epidemiologist (PhD) and the scientific Director of the Vaud and Neuchâtel-Jura population-based cancer registries in Switzerland. Involved in cancer epidemiology and prevention/screening for over 25 years, his expertise lies mostly in breast, colon, skin and lung cancers, as well as in evaluation of cancer screening programmes. 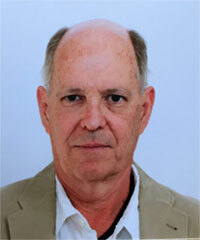 Member of several international and national Steering Committees on cancer prevention/screening, he has conducted for the last 20 years the epidemiological evaluation of most Swiss mammography screening programmes, contributed to the development of quality-controlled breast service screening, and the implementation of colorectal cancer screening in Switzerland. Dr Bulliard is a senior research fellow and teaches at the Biology and Medical Schools of the Lausanne and Geneva Universities. 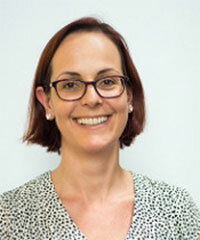 Dr Alejandra Castanon has a medical degree from the Universidad National Autonoma de Mexico (UNAM) and a MSc in Epidemiology from the London School of Hygiene and Tropical Medicine. Over the last 10 years her research has focused on the evaluation of screening programmes, particularly cervical screening. In collaboration with the NHS Cervical Screening programme she runs a case control study to evaluate the cervical screening programme in England and Wales. This research provides policy makers evidence on which to base policy decisions. Additional research interests include risk of preterm birth following treatment for cervical disease and the expansion of the evaluation work to colorectal and breast screening. A full list of Dr Castanon’s publications can be found here https://orcid.org/0000-0002-1101-6548 . Professor Caroline Dive, CBE., is internationally renowned for advancing circulating biomarker research, with a strong focus on circulating tumour cells (CTCs), particularly in lung cancer. She initially trained as a pharmacist at the University of London. She then studied for her PhD in Cambridge before taking a new Blood lectureship at Aston University in Birmingham. Caroline then obtained a Lister Institute fellowship, and moved to the University of Manchester where she set a group to study drug induced apoptosis. 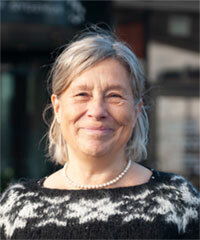 She became a full professor in 2002 and moved to the CRUK Manchester Institute in 2003. Currently, Caroline leads the Clinical and Experimental Pharmacology group (~110 staff) at the Cancer Research UK Manchester Institute, coordinating activities of scientists, bioinformaticians and clinicians. She has validated and implemented pharmacodynamic, prognostic and predictive biomarkers in clinical trials, working in tandem with clinical researchers and the Christie NHS Foundation Trust Cancer Treatment Centre. Her team has integrated reproducible protocols for the molecular profiling of CTCs into clinical trials, enhanced sample analysis for multi-site trials, and developed methods for circulating free DNA and CTC analysis from the same blood sample. She developed unique xenotransplantation models using CTCs enriched from small cell lung cancer patients’ blood samples, providing a fully tractable system for therapy testing and understanding drug resistance mechanisms, a landmark development in the field. Within CRUK-funded TRACERx consortium, a pioneering study of intratumoural heterogeneity and evolution of non-small cell lung cancer, she directs the CTC analysis within the consortium and is developing the first NSCLC CTC Biobank worldwide. She is the Manchester lead of the CRUK Lung Cancer Centre of Excellence, a partnership with University College London, and the scientific-lead of the Manchester Experimental Cancer Medicine Centre. Caroline has received recognition in terms of international prizes, most notably the CRUK Translational Research Prize in 2011, the Pasteur-Weizmann/Servier International Prize in 2012 for minimally invasive biomarkers to aid management of cancer patients and the BPS AstraZeneca Prize for Women in Pharmacology in 2016. She was made a Fellow of the European Academy of Cancer Sciences in 2011, Fellow of the British Pharmacological Society in 2012 and Fellow of the Academy of Medical Sciences in 2015. In 2017, Caroline was named a Commander of the Order of the British Empire (CBE) for her services to cancer research. Paul Doria-Rose received his PhD in Epidemiology from the University of Washington in 2001, and his Doctorate in Veterinary Medicine from Cornell University in 1996. He is currently the Chief of the Healthcare Assessment Research Branch at the U. S. National Cancer Institute. In this role, he coordinates large research initiatives focused on cancer care delivery in community settings, including Population-based Research to Optimize the Screening PRocess (PROSPR). He also oversees the development of data resources to support economic and health services research across the cancer continuum. His personal research is focused on the evaluation of cancer screening efficacy and interval, including methods development, with a focus on colorectal and lung cancers. 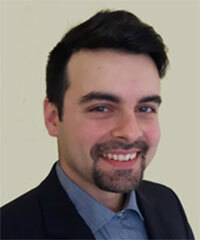 Epidemiologist, head of the Epidemiology and Screening department (CPO-Azienda Ospedaliero Universitaria Città della Salute-Turin (Italy), WHO Collaborating Centre for early detection and screening since 2014. Research fields: Breast and cervical cancer screening organisation and evaluation, risk-based screening, randomised trial on cancer screening compliance, communications and psychological aspects in secondary cancer prevention interventions, cancer screening by immigrant and minority women; cancer screening in developing countries and in low-resource settings; smoking prevention and control; cancer screening and healthy lifestyle promotion interventions (diet, physical activity and tobacco consumption). 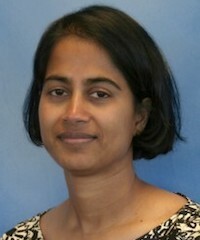 Aruna Kamineni, PhD, MPH, is an epidemiologist and faculty member at Kaiser Permanente Washington Health Research Institute in Seattle, which does public-domain research and evaluation to influence healthcare and policy. Dr. Kamineni has expertise in using case-control methods to evaluate screening efficacy, and her research focuses on addressing evidence gaps for clinical guidelines, particularly for cervical and colorectal cancer prevention. A substantial portion of her work has focused on developing infrastructure and methods for research using electronic clinical and administrative healthcare data. Since 2011, she has participated in the the National Cancer Institute’s Population-based Research to Optimize the Screening Process (PROSPR) consortium to evaluate and improve cancer screening in United States community settings. As a principal investigator for multi-site cervical and colorectal cancer PROSPR Research Centers, Dr. Kamineni is leading and collaborating on work to determine how to optimally use screening tests and consider how to tailor screening for population subgroups. Harry de Koning is Deputy Head and Professor of Public Health & Screening Evaluation, Department of Public Health, Erasmus MC University Medical Centre, Rotterdam, The Netherlands. 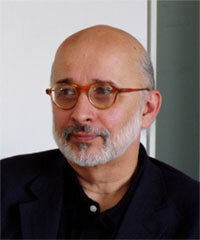 His major scientific contributions are in the areas of (1) designing, running and evaluating (often large-scale) multidisciplinary population-based randomized controlled screening trials to establish the efficacy of screening, (2) evaluating active (inter-)national screening programs and clinical tests to establish effectiveness and (3) guiding public health policies on screening and primary prevention using predictions of favourable and unfavourable effects and the cost of interventions, based on micro-simulation modelling of the natural history of disease, risk-prediction modelling and cost-effectiveness and cost-utility analyses. Our multidisciplinary and international research results in recommendations on whether or not to introduce screening, surveillance or other preventive interventions for specific diseases and on policy decisions to introduce it in specific ways, either at population level or in (high risk) patients. He was PI of the sole RCT on screening for language disorders in 11.000 toddlers, and am PI of the ROBINSCA trial through an Advanced Researcher Grant (2011), to assess the (cost-)effectiveness of screening for cardiovascular disease. I am PI of the NELSN lung cancer screening trial. We are further responsible for the monitoring and evaluation of the Dutch Breast, Cervical and Colorectal Cancer Screening Program, and presently have HORIZON2020-projects to evaluate breast, cervical and colorectal cancer screening in Europe (coördinator), and evaluate (and implement) vision and hearing screening in Europe (substitute coördinator). We are co-PI in 7 CISNET (NIH/NCI-funded) projects, aimed at modelling and predicting the impact of interventions in breast, prostate, lung, colorectal, oesophageal, colorectal and cervical cancer. These have led to substantial influences in policy making. Perhaps, most prominently our recent analyses on lung cancer screening for the USPSTF, which have led to insurance coverage of low-dose CT screening according to our recommended eligibility in the US. She has been responsible for the management and development of the Microsimulation Screening Analysis (MISCAN)-Colon model since 2003, and the University of Washington (UW) MISCAN esophagus model since its initiation in 2010. Her modeling work informed the 2018 American Cancer Society Colorectal Cancer (CRC) Screening guidelines, the 2008 and 2016 US Preventive Services Task Force recommendations, US Medicare reimbursement decisions on computed tomography colonography (CTC) and Stool DNA screening and the Dutch national colorectal cancer screening program. Her work has been published in several authoritative medical journals. She is a member of the European Cancer Network and lead author of a chapter in the European Guidelines for Quality Assurance in Colorectal Cancer Screening and the IARC handbook on CRC screening. In 2017, she received the Felix Burda award for her research contributing to the successful implementation of the Dutch colorectal cancer screening program. 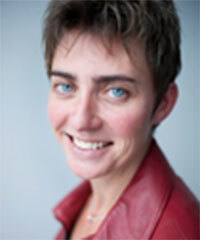 Elsebeth Lynge is a professor of epidemiology at the University of Copenhagen. She works at a small hospital in the area of Denmark with the highest mortality. Her expertise is in evaluation of screening for cervical and breast cancer, and she loves to dig into data to search for the truth. 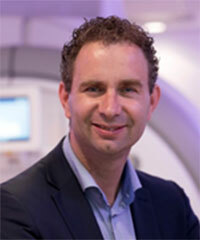 Wiro Niessen is full professor in Biomedical Image Analysis at Erasmus MC, Rotterdam where he leads the Biomedical Imaging Group Rotterdam (www.bigr.nl) and at Delft University of Technology. His interest is in the development, validation and implementation of machine learning and quantitative image analysis methods in clinical practice and biomedical research, in linking imaging and genetics data, radio(geno)mics, and image guided interventions. Focus areas are improved diagnosis and prognosis of neurodegenerative and cardiovascular disease, and treatment guidance in oncology, by developing and using advanced medical image analysis and machine learning methods. He has published over 300 journal articles in these areas, and has a H-index of 75 (Google Scholar). He is fellow and president of the Medical Image Computing and Computer Assisted Interventions Society (MICCAI), director of the Biomedical Image Analysis Platform of the European Institute of Biomedical Imaging Research (EIBIR), member of the International Society of Strategic Studies in Radiology (IS3R), board member of the Technological Branch of the Netherlands Organization of Scientific Research (NWO-TTW) and Chief Technological Officer of Health RI, a national research infrastructure for prevention, personalized treatment, and health. In 2012 he founded the spin-off company Quantib, which is an AI company in medical imaging that develops methods to automatically extract relevant information from medical imaging data. He is currently the Scientific Lead at Quantib. In 2015 he received the Simon Stevin Master award, the largest prize in the Netherlands in the field of Applied Sciences. In 2017 he was elected to the Royal Netherlands Academy of Arts and Sciences. 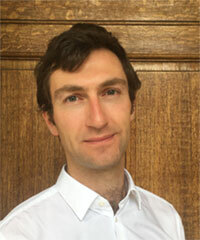 James works as a health economist at the Centre for Health Policy and Management at Trinity College Dublin. He has specialised in the field of cost-effectiveness analysis (CEA) of cancer screening. He is a member of the CERVIVA research consortium that works to enhance prevention of HPV-related diseases in Ireland. James has a particular interest in cost-effectiveness modelling methods, including the specification of cancer screening simulation models. His methods interests also relate to broader issues in CEA, such as the choice of discount rate, analytical perspectives and cost-effectiveness thresholds. Douglas Perin is a Leidos Biomedical Research, Inc. consultant supporting the activities of the U.S. National Cancer Institute-Center for Global Health. He is the program coordinator of the International Cancer Screening Network (ICSN), a collaborative consortium of cancer screening researchers and implementers. In addition, he has offered expertise in the organization of national cancer control planning activities for countries in Latin America, Africa and Eurasia. Mr. Perin was an Association of Schools and Programs of Public Health Fellow working in cancer screening research and implementation with the U.S. Centers for Disease Control and Prevention, in the Office of International Cancer Control/Division of Cancer Prevention and Control, in Atlanta, GA. Mr. Perin is trained in Law, a graduate from the Federal University of Rio Grande do Sul-Brazil; and received a Master in Public Health from University of Nebraska Medical Center. His professional interests include cancer prevention and control and his area of focus lies in the translation of evidence derived from research into policy and practice. Antonio Ponti is an epidemiologist and medical doctor working in breast cancer screening and in quality assurance of breast cancer care. 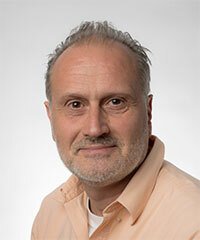 He has been main investigator in multicenter national and international projects like the National Data Warehouse of population based cancer screening, EUNICE, the Working Group on Ductal Carcinoma in Situ of the International Cancer Screening Network (ICSN), and the EC – IARC project on “The second report on cancer screening implementation in Europe”. He is a member of the European Commission Initiative on Breast Cancer and director of the EUSOMA Data Center. He is a member of the ICSN Steering Committee. 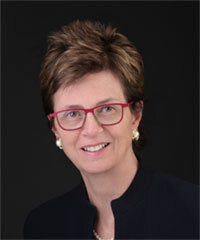 Dr. Linda Rabeneck, a gastroenterologist, clinician scientist and health care executive, is Vice President, Prevention and Cancer Control at Cancer Care Ontario. She is a Professor of Medicine at the University of Toronto and Senior Scientist at the Institute for Clinical Evaluative Sciences in Toronto. Dr. Rabeneck received her MD from the University of British Columbia (UBC), followed by post-graduate training in Internal Medicine and Gastroenterology at UBC and the University of Toronto. She received a Master’s degree in Public Health from Yale University. 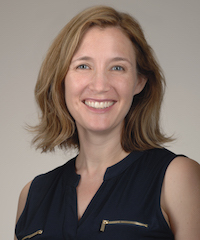 Dr. Rabeneck, whose scholarly work focuses on the evaluation of health care and health system performance, is best known for her research on colorectal cancer screening. She is the author of over 230 peer-reviewed articles. Dr. Rabeneck currently serves as Global Chair, Colorectal Cancer Screening Committee of the World Endoscopy Organization (WEO). She played a leadership role in the launch of ColonCancerCheck in Ontario, Canada’s first organized, province-wide colorectal cancer screening program. Under her leadership, Ontario launched Canada’s first organized screening program for women at high risk of breast cancer (High Risk Ontario Breast Screening Program); and most recently launched Canada’s first lung screening pilot (Ontario High Risk Lung Screening Program). Dr. Rabeneck was elected Master of the American College of Gastroenterology (ACG), received the ACG’s Berk/Fise Clinical Achievement Award, and UBC’s Medical Alumni Association Wallace Wilson Leadership Award. In 2012, Dr. Rabeneck was elected Fellow of the Canadian Academy of Health Sciences (CAHS) and in 2017, she became President. Mona Saraiya, MD, MPH, is a Medical Officer and Team Lead in CDC’s Division of Cancer Prevention and Control’s (DCPC’s) Epidemiology and Applied Research Branch. 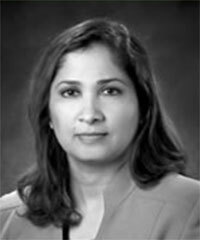 Prior to her current position, Dr. Saraiya was Associate Director of DCPC’s Office of International Cancer Control. She has also worked on domestic issues related to skin cancer epidemiology and cervical cancer prevention and control. Her cervical cancer and human papillomavirus (HPV) research portfolio includes an initiative to characterize the HPV-associated cancer burden in the United States, and adherence to cervical cancer screening guidelines, especially with newer technologies such as HPV testing. She graduated from Rush Medical College, completed a Masters of Public Health at Emory School of Public Health, completed a residency in Preventive Medicine/Public Health, and is board certified by the American College of Preventive Medicine. Dr. Saraiya is an alumna of the Epidemic Intelligence Service program, an adjunct professor at Emory University and at Morehouse School of Medicine, and has published more than 150 articles during her tenure at CDC. Nereo Segnan (M.D. at University of Torino, Italy, Master of Science in Epidemiology at Harvard School of Public Health, USA) acted as head (1993-2017) of Screening and Cancer Registry at CPO Piemonte “Città della Salute e della Scienza” University Hospital, Torino Italy. 1997-2017. He was director for the Piedmont Region of Breast and Cervical Cancer Screening Programs and since 2005 for Colorectal Cancer Screening and member of board of directors of Italian National Monitoring Centre of Cancer Screening. Between 2011-2017 he operated as Co-ordinator of the Euromed Network on cancer screening in non EU Mediterranean Countries. Between 2014-2018he was the Director of WHO Collaborating Centre for Early Diagnosis and Cancer Control of CPO Piemonte. 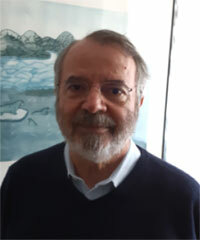 Senior visiting Scientist at IARC – Lyon he edited and /or co-authored the EU guidelines for Quality Assurance on Cervical (1992, 2008, 2015), Breast (2001-2006), Colorectal Cancer Screening (2010). He was (2014-2015) Cancer Screening Group leader of European Code Against Cancer (ECAC) and group leader for literature review of the code. Member (up to March 2019) of ICSN Steering Committee, Eutopia Steering Committee. PI or investigator in In SCORe,NTCC, Proteus Colon, Proteus Breast, Andromeda, FUSE RCTs on effectiveness or comparative effectiveness of screening tests for Colorectal, Cervical and Breast cancers. He is author of 234 papers on peer-reviewed Scientific Journal. Dr. Robert A. Smith is a cancer epidemiologist and Vice President, Cancer Screening, and Director, ACS Center for Quality Cancer Screening & Research at the National Office of the American Cancer Society (ACS) in Atlanta, Georgia. He also is Adjunct Professor of Epidemiology, Rollins School of Public Health, Emory University School of Medicine, and an Honorary Professor, Centre for Cancer Prevention, Wolfson Institute of Preventative Medicine at Queen Mary University of London. He received his PhD from the State University of New York at Stony Brook in 1984, and since then has held positions at the Boston University School of Public Health, the Centers for Disease Control and Prevention, and the ACS. His primary research interests are cancer epidemiology, evaluation of cancer prevention and early detection programs, and quality assurance in the delivery of health services. At the ACS he leads a team that develops the ACS cancer screening guidelines and provides support for special initiatives and research projects focused on cancer screening, and health services. He is the author of over 300 peer-reviewed scientific articles, reports, and book chapters. 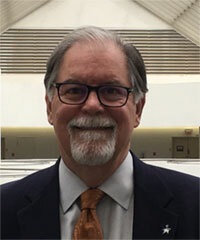 He serves on many international and national government and professional advisory committees, and working groups, including the ICSN Steering Committee, and has served and led subgroups for the International Agency for Research on Cancer (IARC) Handbook Working Groups for breast cancer and colorectal cancer screening. Among his honors, Dr. Smith is an Honorary Fellow of the Society of Breast Imaging; in 2004 he received the Cancer Prevention Laurel for Outstanding National Leadership from the Prevent Cancer Foundation; and in 2011 he received the Medal of Honor from the International Agency for Research on Cancer. Dr. Taplin is a Senior Advisor in Cancer Screening with the US National Cancer Institute’s Center for Global Health. Before joining NCI he was a primary care practitioner also responsible for delivery and evaluation of a breast cancer-screening program serving 100,000 women in an integrated health plan. He has built his research career around the problems that arose from his clinical experience. 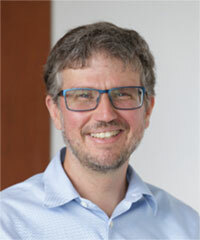 After achieving full professorship in Family Medicine at the University of Washington he joined the National Cancer Institute as a Senior Scientist. Before joining NCI he was an Investigator in the Center for Health Studies at Group Health in Seattle. He has led the development of research into how individuals, groups and organizations act and interact to affect cancer care delivery. Dr. Amanda L. Vogel is Global Health Evaluation Specialist at the Frederick National Laboratory for Cancer Research, Sponsored by the National Cancer Institute. Her work there focuses on evaluating global cancer research, training, and capacity building initiatives of the National Cancer Institute. This has included evaluation of the impact of the ICSN for cancer screening research and implementation, and data collection to inform planning for the future of the ICSN. Dr. Vogel also is an expert in the Science of Team Science (SciTS) field, which aims to develop the evidence base for effective team-based collaboration in science, including cross-disciplinary, international, and cross-institutional collaboration. She conducts empirical research on science teams, contributes to the conceptual and theoretical SciTS literature, and develops resources to help users apply evidence-based principles for effective team science to their own initiatives. Dr. Vogel has provided longstanding leadership for the Annual International SciTS Conference as part of the conference planning committee and is Founding Membership Chair of the International Network for the Science of Team Science (INSciTS), the professional society for the SciTS field. Dr. Vogel earned her PhD from the Department of Health Policy and Management at the Johns Hopkins Bloomberg School of Public Health, with focus areas in Health and Public Policy and Health Services Research. She earned her Master of Science in Public Health from the Department of Health and Social Behavior at the Harvard T.H. Chan School of Public Health. David Weller graduated from the University of Adelaide in 1982. He undertook PhD studies in Adelaide and Nottingham; after academic posts in Australia he moved to the UK in 2000 and is currently James Mackenzie Professor of General Practice at the University of Edinburgh. He leads the Cancer and Primary Care Research International Network (Ca-PRI), and was Foundation Chair of the National Cancer Research Institute’s Primary Care Clinical Studies Group and is a member of the Colorectal Clinical Studies Group. 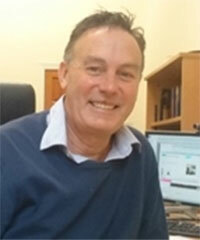 He has been involved in cancer research in both Australia and the UK; he led the evaluation of the UK Pilot of Colorectal Cancer Screening, and is part of the Edinburgh Primary Care & Cancer Research Group which runs a programme of research focusing on the roles of primary care in all aspects of cancer control. He has led LMIC programmes, funded by UICC and the British Council, examining early diagnosis and screening in resource-poor settings, and is part of a Global Challenges Research Fund programme examining prevention and early diagnosis of lung cancer in southern India. He was co-lead of the International Cancer Benchmarking Partnership (Module 4), examining routes to diagnosis and their impact on cancer survival. David sits on various national and international research and government committees on cancer, and works as a GP in central Edinburgh. He is Co-director of the University’s Centre for Population Health Sciences.